#JustTap whenever you see the contactless sign. Use RMB Pay at these retailers, at selected stores. As part of our digital payments strategy we are pleased to announce the arrival of Fitbit Pay™ and Garmin Pay™, extending the convenience of contactless payments to smart wearable devices. As an RMB Private Bank customer you no longer need to worry about carrying cash or cards, but can enjoy peace of mind when making payment using one of our convenient and secure digital solutions. RMB Pay, along with Fitbit Pay™ and Garmin Pay™ use contactless payment technology to ensure a convenient, faster and safer way to pay. 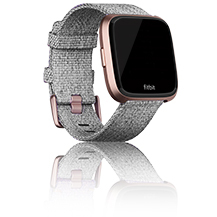 To access Fitbit Pay™ and Garmin Pay™, check the Fitbit and Garmin websites to ensure you have a compatible device. Fitbit Pay™ and Garmin Pay™ is available to existing RMB Private Bank clients who have the latest compatible Fitbit and Garmin devices and have downloaded the Fitbit and Garmin Apps onto their smartphones (iOS and Android). All you have to do is load your RMB Private Bank card details onto the Fitbit Pay™ and Garmin Pay™ Apps, authenticate using the OTP received and make payments with ease from your wrist with just a tap. No, there are no additional service fees or charges. To access this service, ensure you have a compatible Fitbit or Garmin device and have downloaded the devices app to your phone. You may find a list of compatible devices and device set up guides on the Fitbit and Garmin websites. Client safety forms the cornerstone of our digital payment solutions. We use the latest technologies and techniques to ensure transactions are secure. Your sensitive payment data is secured using the latest payment technology and techniques. Despite the security inherent in our digital payment solutions, the point of sale device will also prompt you to enter your card PIN for certain transactions while making a contactless payment. Further security measures are designed to protect you when using our digital payment solutions such as your card PIN, device passcode and your RMB Private Bank App username & password. These should only be known to you and never be shared with anyone. For contactless payments, the underlying technologies in use include HCE (Host Card Emulation) and NFC (Near Field Communication); both follow the EMVCo standards for effecting secure contactless mobile payments. These technologies also enable the likes of Apple Pay and Android Pay. RMB Pay Checkout and Scan to Pay use the latest security standards for "card not present" forms of payment. The resulting transaction is fully 3D Secure compliant ensuring the relevant protections for both the card-holder and merchant. Please note, the PIN code is to prevent others from making payments using your watch. Every time you wear your Fitbit you will be required to enter this 4-digit PIN. For your security, the Fitbit stays in an authenticated mode for 24 hours or until you take your Fitbit watch off your wrist. You can switch cards anytime on the Fitbit mobile App and your card number/details will never be stored on your device or Fitbit services. When you pay, your card number/details will never be shared by Fitbit merchants. To access this service, ensure you have a compatible Fitbit device and have downloaded the device's app to your phone. You may find a list of compatible devices and device setup guides on the Fitbit website at www.fitbit.com. While you are wearing the watch, you can make payments for the rest of the day without entering your passcode again. If you disable heart rate monitoring by removing the watch from your wrist or 24 hours have lapsed you must enter your passcode again before making a payment. To access this service, ensure you have a compatible Garmin device and have downloaded the device's app to your phone. 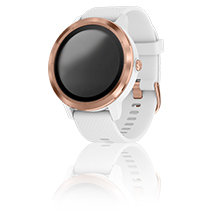 You may find a list of compatible devices and device setup guides on the Garmin website at www.garmin.co.za. Start using RMB Pay on your Android smartphone, for the fastest way to pay wherever contactless payments are accepted. Convenient - make payments on the go, if you want to grab a smoothie after a work out, while running errands or to collect a take away meal. Simple - just tap your compatible fitness watch to make a payment. Secure - Your device is protected by a passcode and certain transactions will require your card PIN. This should only be known to you and never divulged to anyone else. Safe - when making payments you will get inContact notifications. If you lose your watch you are protected by your device passcode and your card PIN. RMB Pay is now available at big brands such as Engen, Mr Price, Pick n Pay to mention a few. This means you can now #JustTap for just about anything with the RMB Private Bank App and your Android smartphone - the coolest, fastest way to pay. RMB Pay is a convenient, safe and secure alternative to making payments in-store without the need for a card or cash. To use RMB Pay, you only need to download the RMB Private Bank App and register your qualifying card (when ready to make a payment look out for the contactless logo). Simply unlock your Android smartphone and tap it on the card machine. Using your smartphone to pay for purchases in-store is just as secure as using your card. Select RMB Pay on the RMB Private Bank App. Use RMB Pay whenever you see the contactless symbol. Simply unlock your smartphone with your device passcode (pattern, password, PIN or fingerprint). Tap your phone on the card machine. You may need to hold the phone down for a few seconds. Please note your smartphone must be unlocked for payment to be successful. Your phone will vibrate once for a successful payment and you will receive a push notifcation. For amounts over R500 you will need to enter your PIN on the card machine. If you already accept credit or debit cards, all you need is an industry standard contactless-enabled point-of-sale (POS) terminal that facilitates retail or forecourt transactions in a merchant environment. All your questions answered about the fastest way to pay wherever contactless payments are accepted.